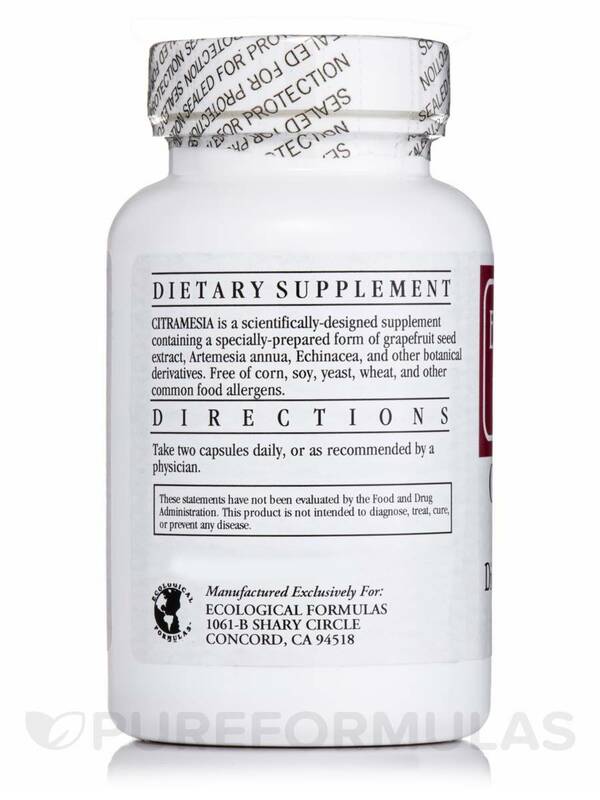 Love Citramesia by Ecological Formulas. great quality and great prices. This formula helped me get rid of bacteria. 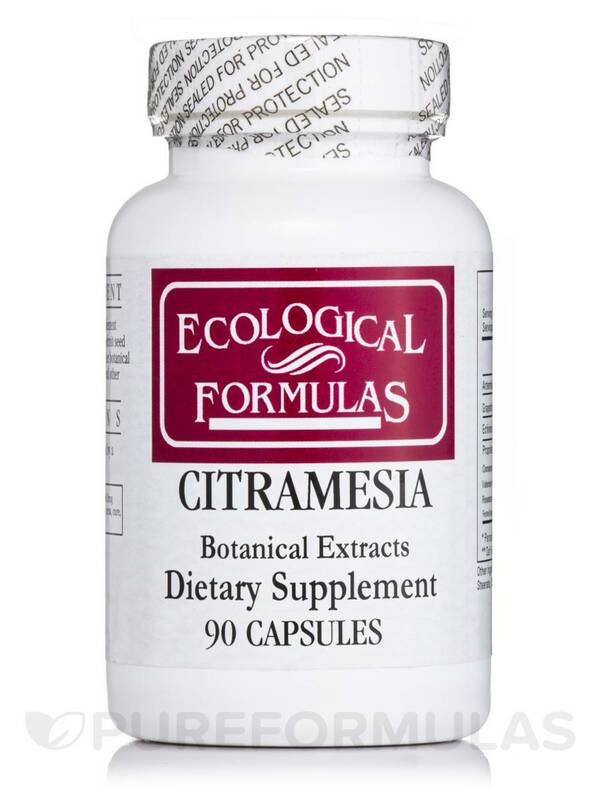 Citramesia contains a specially prepared form of grapefruit seed extract‚ Artemesia annua‚ Echinacea‚ and other botanical derivatives. 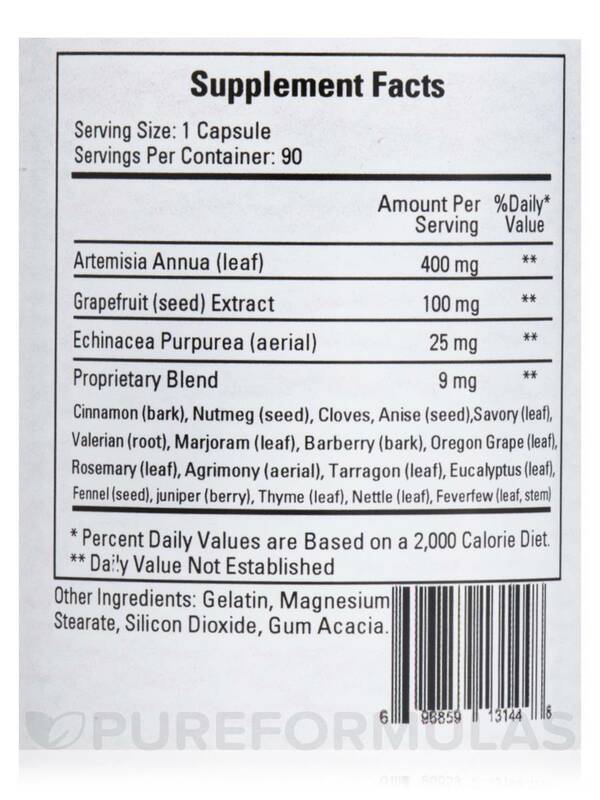 Grapefruit Seed Extract 100 mg.
Echinacea Angustifolia Extract 25 mg.
Juniper Berries‚ Thyme‚ Nettle Leaf‚ and Feverfew. Other Ingredients: Silicon Dioxide and Magnesium Stearate. 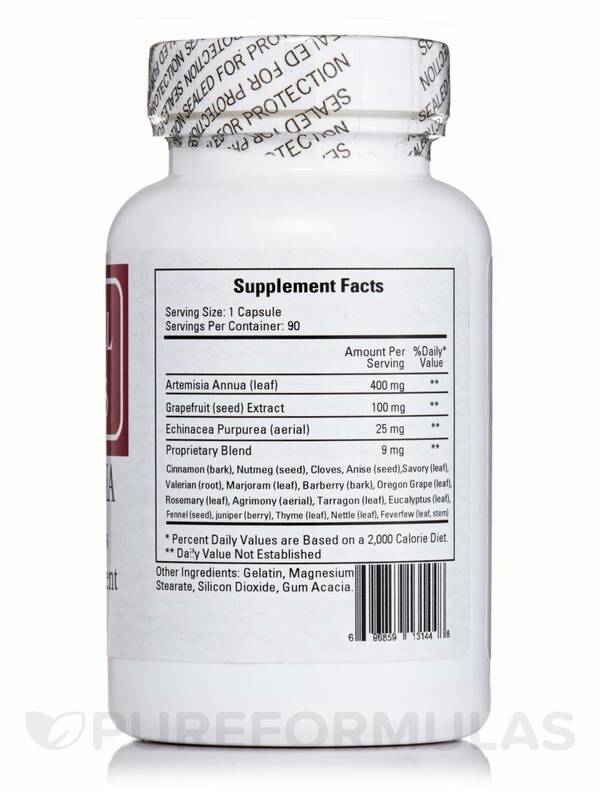 Start low‚ then take 1-3 capsules 3 times daily‚ or per physician instruction. 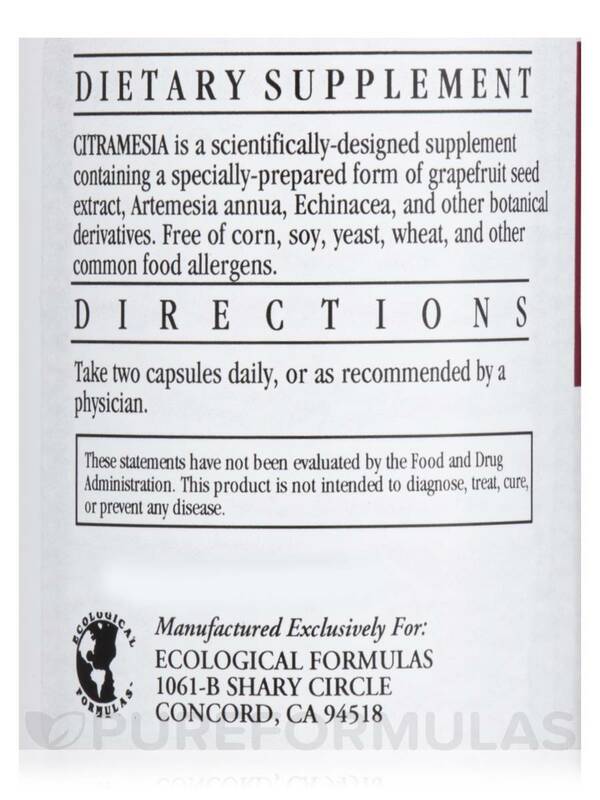 I used Citramesia by Ecological Formulas for many kinds of bacterial, viral and fungal infections. Combines too very powerful anti infection herbs. Very reasonable price as is all Ecological Formulas products. Can upset my stomach. Have to take it at night. I purchased Citramesia last winter when I had some upper respiratory illness. It worked quite effectively and I did not feel scarred by my illness. The only mistake I felt I made with Citramesia is that I waited to long to order it. This year I am ordering ahead of time ....Just in case I get the same problem. I do not recommend self medicating to anyone I have been doing this for most of my life . I still have my yearly check ups with my doctor and still use a rescue inhaler prescribed by her only because I have not found an effective alternate method for emergencies. I must say though. the use of the citramesia lessened the need for conventional methods. (steroids) Citramesia will be included in my flu remedies. Hard to find unless online ordering.